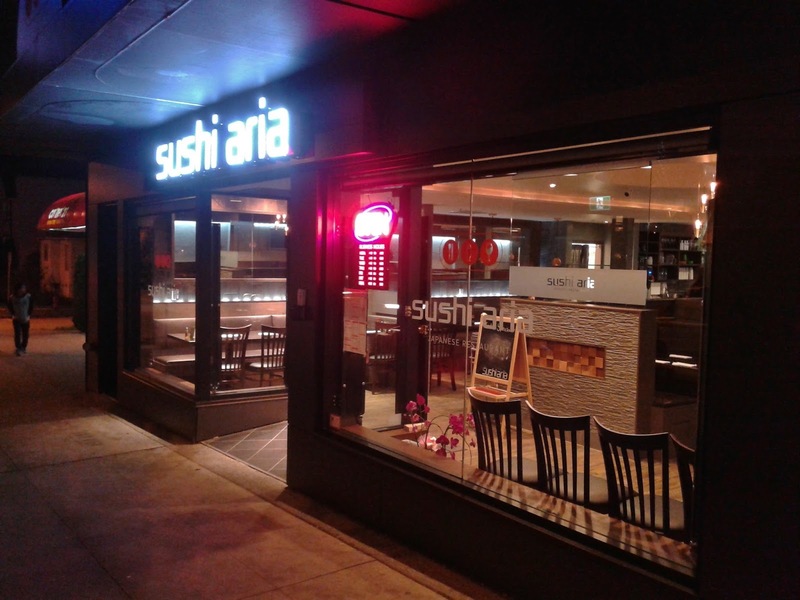 One of the newest Japanese restaurants in Vancouver is Sushi Aria, which opened on October 31. The restaurant's name quickly piqued my interest because it combined two of my favourite things: sushi and music. I have always wondered what it would be like if someone sang a song about sushi in an opera voice. Curious as to whether the food or the staff would give me any insight into that matter, I decided to give the restaurant a visit. 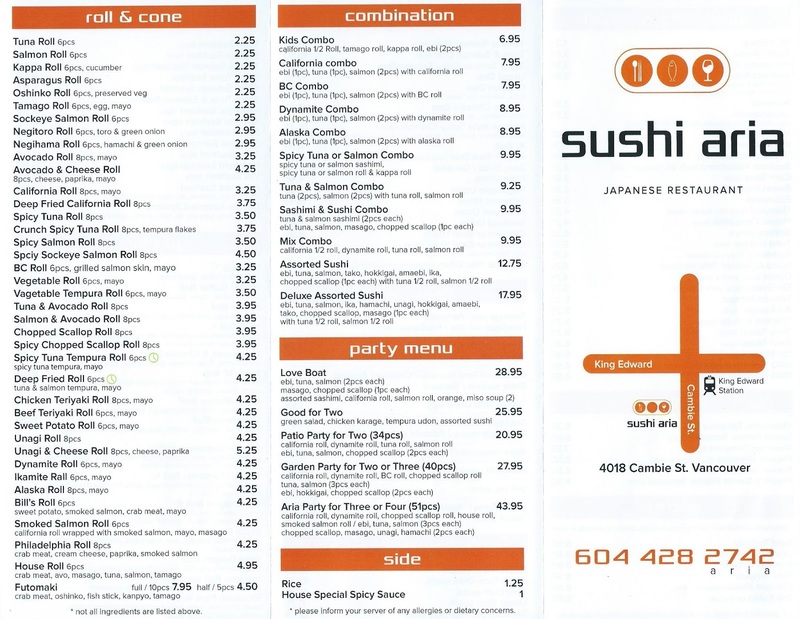 Sushi Aria is Korean-operated and is located right beside the Copa Cafe on Cambie St. 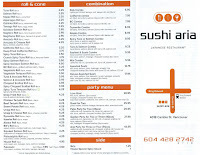 Although Sushi Aria is the one with the sleek, modern decor, spacious seating, and very welcoming servers, Copa Cafe is the one with too many diners (the place was literally jam-packed). 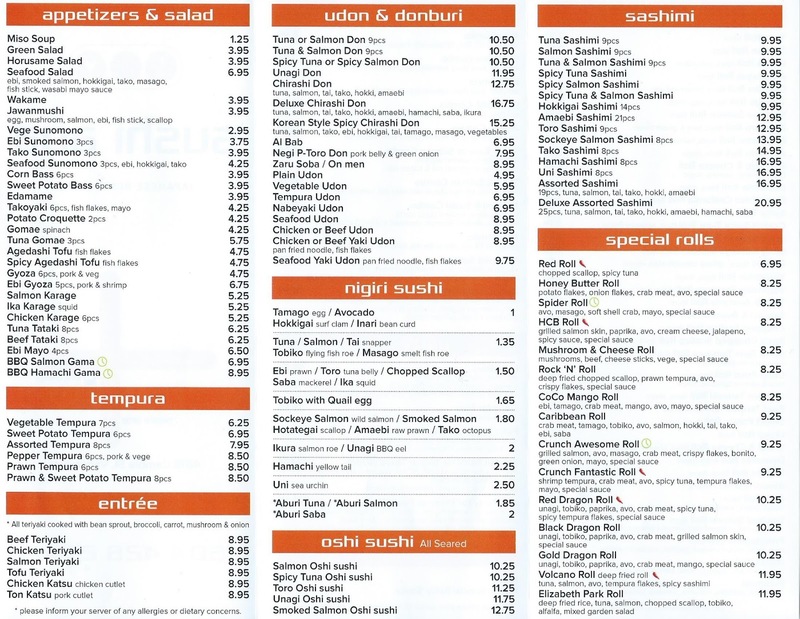 There were many interesting fusion items on the menu that I wanted to try, and I think we all know what happens in that situation. The waitress expressed serious doubts that I could finish all the food I had ordered, but never underestimate the eating capabilities of a university student. 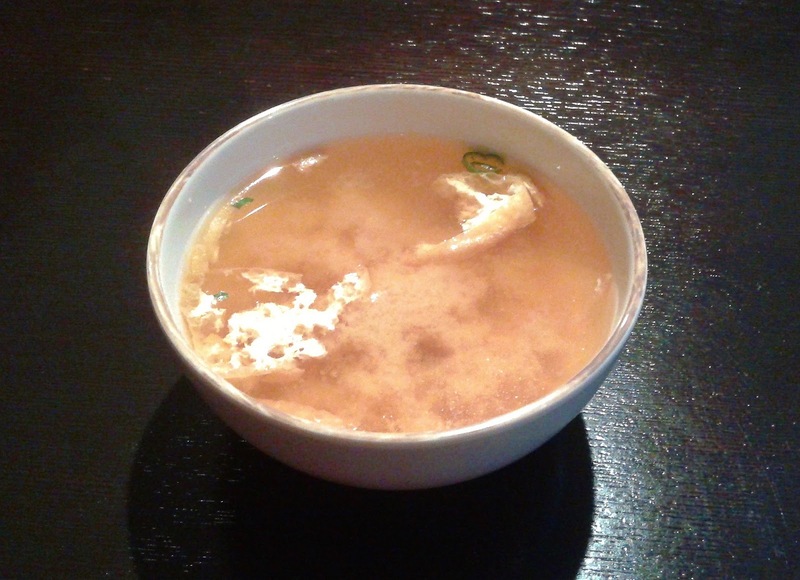 My dinner started off with a complimentary Miso Soup! The Miso Soup was hearty and came with bean curd, tofu, and green onion. 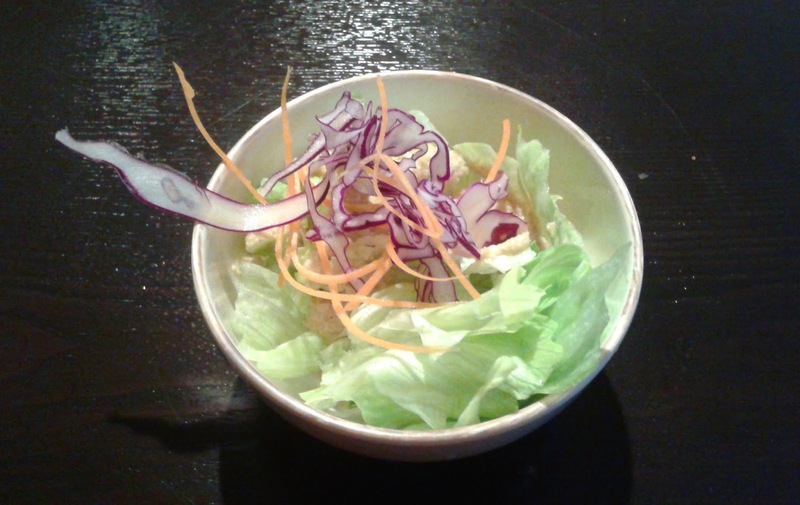 The bean curd enhanced the soup, making it more savoury and rich. The Gold Dragon Roll came with unagi, tobiko, paprika, avocado, crab meat, mango, and special sauce, and was beautifully presented with a vibrant mix of colours. 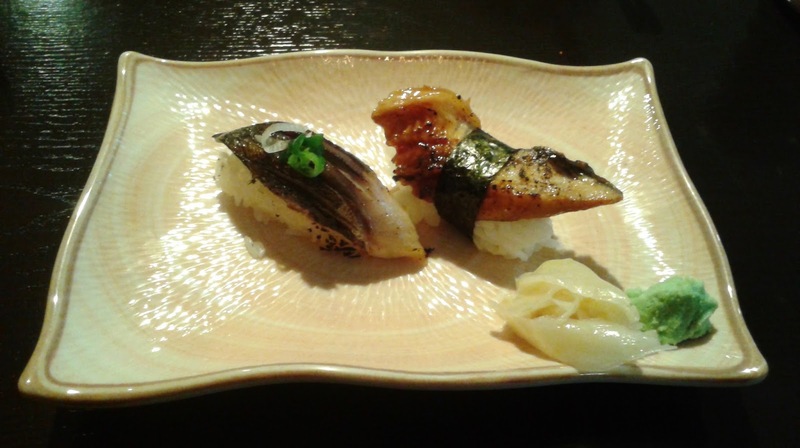 The ingredients were fresh, and the mango and unagi both had appealingly soft textures. The California Roll base was neatly constructed, though taste-wise, it wasn't really remarkable. The crab meat inside somewhat overpowered the unagi and mango on top. Although the saba was not the softest I have had, the Aburi Saba Nigiri had a decent smoky flavour and was not too salty. The Unagi Nigiri was sufficiently savoury, though the piece of seaweed was slightly tough. The sushi rice was well-formed and not too tightly packed. 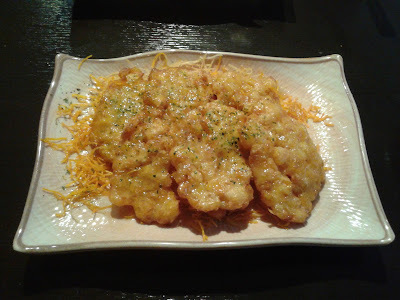 When I saw Corn Bass on the menu, I thought of cooked bass fish served with corn. However, the price was only $3.95, so something seemed a little fishy (or perhaps "non-fishy"). I would literally be jumping up and down if there was cooked bass for just $3.95. Indeed, the Corn Bass consisted of 6 large "filets" of deep-fried corn with a honey-like flavour and no fish. Despite the fishlessness, this was my favourite item of the night. Each filet was slightly crispy on the outside and was filled with numerous delicious, juicy bits of corn. 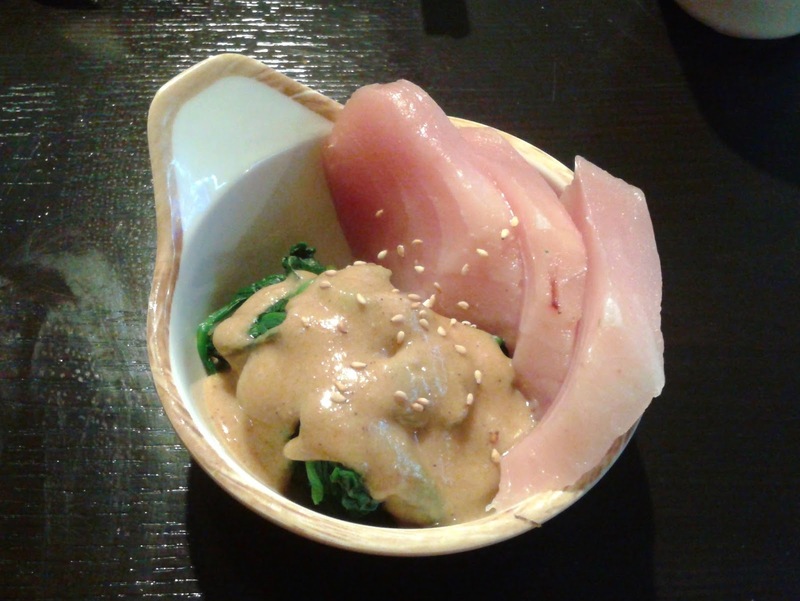 The Tuna Gomae came with three generous slices of tuna and a good-sized portion of spinach dressed with sesame sauce. The slices of tuna were a little chewy in the center, though the exterior exhibited a smooth texture. I found the spinach a little too chewy for my liking. Of course, I needed to have my regular dose of Salmon Oshi Sushi, especially when it's $10.25 for 8 pieces. There was Atlantic salmon on top as well as small slices of sockeye in the middle for extra flavour. The excess amount of sushi rice made the oshi sushi very, very filling. On the bright side, I enjoyed the mildly spicy kick from the seared layer of savoury mayonnaise-based oshi sauce and the very thin slices of jalapeño. Overall, the service was very friendly and accommodating throughout my visit, and the food was consistently a bit above average. The food also came quite quickly, and even though I was seated at a table for four, there was one point at which my entire table was covered with different dishes. Fortunately, I managed to elegantly and gracefully clear every dish like a corpulent king. It's worth a try as the prices are quite reasonable. They also have a Sweet Potato Bass, which I'm pretty sure is fishless too! "never underestimate the eating capabilities of a university student." Ahaha yep... almost every university student I've met surprised me with their eating capabilities. Especially the food bloggers! So corn bass is just DF'd corn ...... interesting. 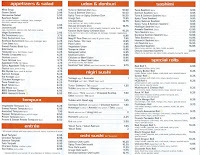 We might check this place out one of these days.